This is Loudness's 22nd record and their 6th in the last 5 years. Most people will remember this band for their work in the 80's but this is a band that have really moved forward and become heavier than ever. It is the original line up of members who laid down this heavy 80's thrash style CD, with amazing drumming and guitar playing. 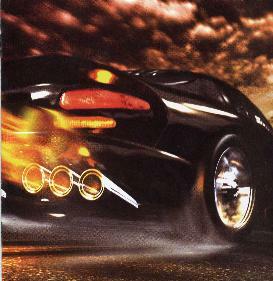 The CD opens with the guitar freakout by Akira called "Racing". "Exultation", which is mostly sung in English with some Japanese lyrics is very fast and heavy. I love the mid sections of all these songs where Akira really experiments and has an amazing guitar sound. The solo on this track is totally insanely fast like Buckethead and Zakk Wylde play but a really cool sound. I don't know what pedals he uses but he has one of the coolest guitar sounds around. The band only slows down for a few moments on this speedy CD. "Lunatic" is very much like a riff you heard in the 80's by Slayer or Exodus. Again, when it is solo time, Akira plays some freaky stuff and then rips it up! "Misleading Man", a very doomy number followed by the amazing "Don't Know Nothing" are my favourite tracks on this CD. The riff is very heavy for the heavy part of this most melodic track. Phew…. If you are a fan of heavy metal guitar playing and solos you will dig this CD. For more information you can visit the Loudness web site at: http://www3.live.co.jp/loudness.